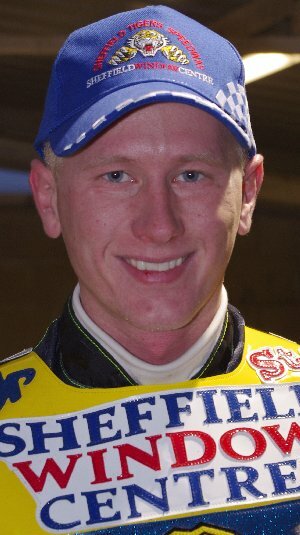 Josef first rode in Britain for the Berwick Bandits in 2001, and then the Newcastle Diamonds from 2005 to 2008 before returning to the Bandits in 2009. 2010 saw him riding for the Tigers and while he proved popular with the fans it must be admitted his form did take a dip in mid-season. 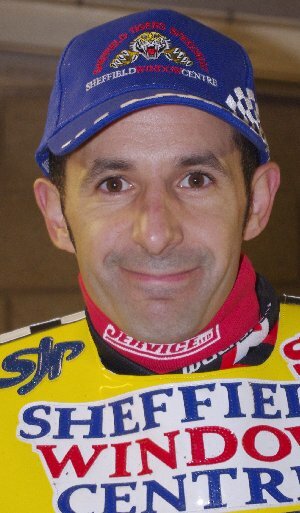 Pepe (his nickname) rode to the Czech U21 crown three consecutive years from 1998 to 2000 and in 2009 represented his country as a member of the Czech Republic World Team Cup squad at Vojens. As soon as Pepe realized he did not feature in the Bandits plans for 2012 he was quickly in touch with his friends at Sheffield and he returns to spearhead the Tigers new squad. Pepe was given the wildcard for the Czech Grand Prix in May and really turned some heads. He obviously put home track knowledge to good effect as he won his first heat ahead of Nicki Pedersen. Two more wins ahead of Jason Crump, Greg Hancock, Tomas Gollub, Jarek Hampel, Andreas Johnsson and Kenneth Bjerre put him in the first semi-final where his evening sadly came to a close but not many wildacrds will better that result. Josef was injured riding in a longtrack meeting and missed 6 meetings in the summer and was sadly off the pace on his return to the saddle in the home defeat by the Bandits. Joe first came to my intention when he won the 6th round of the British U15 championship at Owlerton with a 15 point maximum at the ripe old age of 13! British U15 champion in in 2006, Joe was a member of the 2007 Scunthorpe team who steam-rollered all before them. He joined Boston (NL) in 2008 doubling up with Workington (PL), moving to Rye House(PL) in 2009 when he doubled up with Wolverhampton (EL). He opted for King's Lynn in 2010 recording a 7.22 average from 15 meetings and won the British U21 title at Lakeside before switching to Redcar. Wintering in Australia Joe suffered horrific injuries on track and his recuperation was hampered by a lung infection causing him to miss the start of the 2011 campaign. He did a couple of meetings for Newport before switching to Scunthorpe to cover for the injured Carl Wilkinson, but struggled to regain his form. Fit and raring to go Joe is looking forward to getting to grips with the big Owlerton track. Joe returned to Monmore Green for the British U21 Final in April scoring 11 points. He beat Kyle Howarth and Steve Worrall to qualify for the final in which he just held off a challenge from Tom Perry to win back the title he loaned to Tai Woffinden last year. Joe took a heavy tumble in the Plymouth meeting and suffered a broken wrist. Richard joined the Prowlers from Newcastle after a spell doubling up with the Diamonds and the Gems, wasting little time in regaining his confidence and showing them what a mistake they had made. He was called into the Tigers team as cover for injured Tiger Ben Wilson towards the end of the 2003 season and his impressive performances made him the obvious choice for the Tigers second reserve berth in 2004. He jostled with James Birkinshaw for a full team place and by July he was back in the body of the team seeing the season out riding in the heat leaders No.3 race jacket as the management attempted to juggle dwindling rider resources. Richard started the 2005 campaign as a second-string but in the no.3 race jacket and a string of solid performances both home and away improved Richard's average. He finished the year challenging Ricky for the third heat-leader position. Richard became a victim of the averages trap and was left out of the Tigers plans for 2006 but he stepped up into the Elite league and went on to become the Peterborough Panthers hero as he steered them to the Elite League Championship with a brilliant display in the final against Reading. 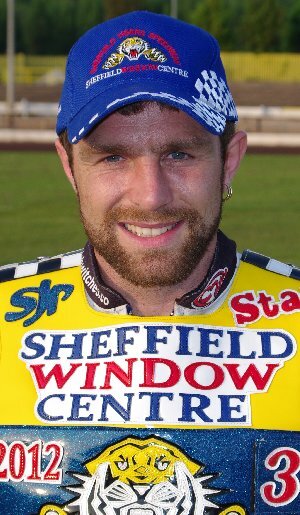 2007 saw Richard suffering a foot injury riding in the Garry Stead Grand Prix just after being released by the Panthers but he returned to the track at Premier League level with the Scunthorpe Scorpions in 2008 finishing second in their averages. 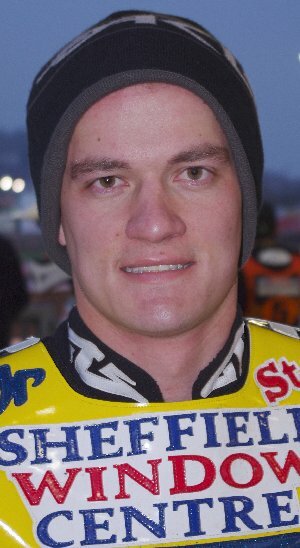 Richard returned to the Tigers squad for 2009, put half a point on his average, finished second (again) in the team averages but had to sit out the end of the season as a result of multiple crashes in September. 2010 saw him disputing the 3rd heat leader slot with Josef Franc which he just shaded by the end of the season. He started 2011 as the Leicester captain but was released when his longtrack commitments caused him to miss too many meetings and he finished the season with Scunthorpe deputizing for the injured Viktor Bergstrom. 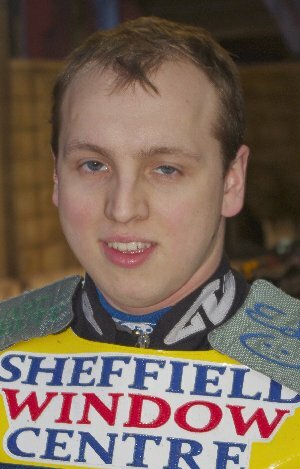 Back at Owlerton for 2012 Richard is the new Tigers captain and is raring to go. Klaus first appeared in Britain as part of the Stoke team in 2008. His form in 2009 was such that he was invited to double up with Elite League Coventry, and in 2010 it was Peterborough chasing his points. Alas he ran into a sticky patch and personal problems forced him to return to Denmark. He did return and rode 14 meetings with Birmingham but then opted out of British racing completely in 2011. Klaus joins Sheffield on a full transfer from Peterborough and hopefully will soon adapt his quick starting style to the Owlerton track. Argentinean Emiliano Sanchez joined the Glasgow Tigers when he first came to ride in this country in 1999. After spending two seasons with Trelawny he linked up with Hull where he was a vital member of the Vikings triple winning side in 2004. 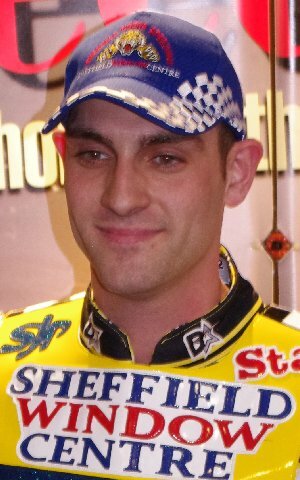 He became an asset of the Sheffield promotion when he was purchased along with his ex-Hull team mates following the Vikings demise and first rode for the Tigers in 2006. Since then he has appeared for Birmingham, Stoke, Scunthorpe and became another triple winner with King's Lynn in 2009. His 2010 season at Redcar came to a premature end with a hand injury suffered in August. Emiliano returned to the lair for 2011 but picked up a shoulder injury in only his second ride. Two falls at Armadale in May saw him sitting out the meeting but he was fit in time for the visit to Newport. Another fall at the Oak Tree Arena put him out of action again, but he recovered his form and finished the season strongly including a paid 16 haul which was instrumental in the Tigers away win at Workington. Emiliano is the 2012 Argentinean champion and is looking forward to taking that vein of form through into the new season. Emiliano injured his hand in a crash with Gary Irving at Owlerton in July. Chris Schramm joined the Tigers in May as cover for the injured Klaus Jakobsen. 28 year-old Chris has ridden for a number of Premier League teams including Reading, Newport, Berwick, King's Lynn and Workington. He also was No.8 for Elite League Eastbourne (his favourite track). He rode for Ipswich in 2011 but suffered a back injury while guesting for Glasgow at Newport in June. He worked hard during the winter months to recover his fitness but found himself without a ride for 2012. Chris blew both his engines in the win against the Plymouth Devils and looked set to withdraw his services until ex-Tiger Chris Mills stepped in with the offer of an engine. Hugh joined the Tigers in June 2009 as cover for the injured Ritchie Hawkins. Neil Machin (who had been watching his development back in Australia) persuaded Eric Boocock to give him a chance. Hugh grabbed the opportunity with both hands and scored 7+1 against Newcastle, claimed a heat win in the away draw at Berwick, and then an impressive 7+3 against mighty King's Lynn(!) while all the time impressing the Tigers fans with his 'never say die' style. There would probably have been a revolt if he'd had to make way for Ritchie on his return to the track but that was neatly averted as Ritchie joined Scunthorpe to replace Adam Allott. He recorded his first paid maximum with 11+1 in the home win against the Rye House Rockets at the end of July. 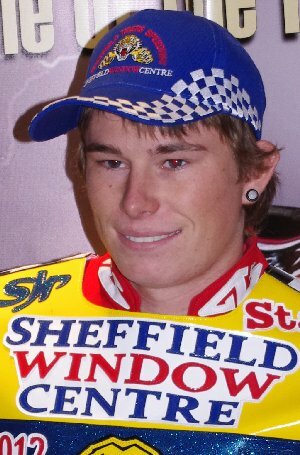 Hugh was the first signing for the Tigers 2010 squad before he returned home where he had a successful summer which included beating Darcy Ward on his way to winning the New South Wales State Championship. Hugh worked hard during the Australian summer to finance new equipment ready for 2011 with the Tigers and became the Leicester track record holder winning the very first race in their inaugural meeting. Hugh will be a crucial member of the new look team in 2012 and the Tigers fortunes may well hinge on his rate of progress. Born in New Zealand Ricky grew up and learned his speedway in America. Following qualification for the World U21 championship semi-final in 2008 he attracted the attention of Elite League Coventry who signed him for the 2009 season. Ruled out of doubling up for a Premier League team he went straight in at the deep end with the Bees. Ricky popped home for the National Championships in August which he duly became the youngest ever winner of (18 years and 54 days) and the first foreign born winner to boot. He joined Stoke for the 2010 season but continued to double up at Brandon with the Bees. Wolverhampton swooped to sign him for 2011 and he finished the season helping out at Premier League Plymouth. Ricky remains a Wolverhampton asset but is now relishing the prospect of honing his skills on the fastest track in the country.